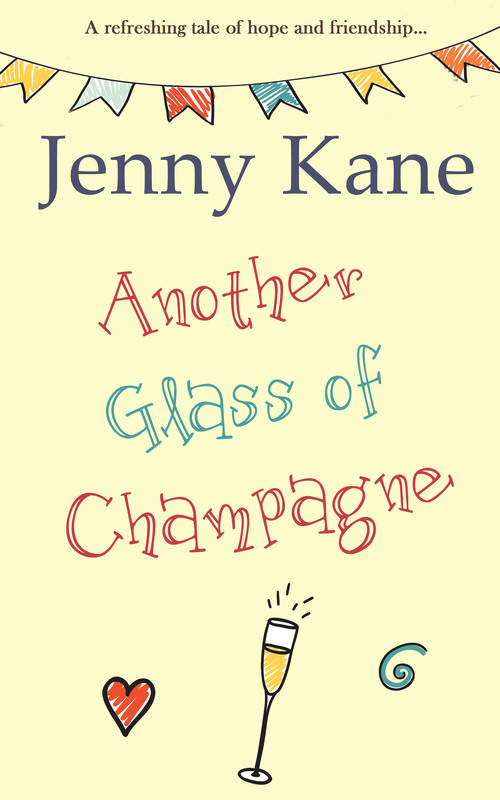 As I approach the last stage of writing the draft of Another Cup of Champagne– the fourth in the Another Cup of… series, I can’t help but look back on how it all began. I’ve had so much fun writing the adventures of Amy, Kit, Jack and their friends- but I honestly never thought I’d still be telling their stories four books along! 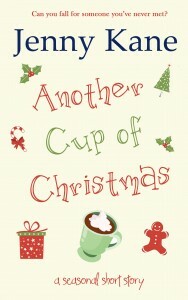 Although Another Cup of Coffee was the first book I wrote under the name Jenny Kane, it is actually my seventh novel. Without exception, all of my other works, be they long or short, have been formed from a single moment of inspiration- a flash point of certainty sparked from a conversation, location, or random thought, that has expanded and developed as I’ve penned the words. 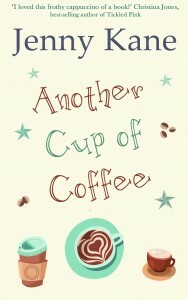 Another Cup of Coffee however was a very different cup of tea! (If you’ll pardon the pun!). It’s dawn was thirteen years ago, shortly after the birth of my first child, and it started by accident. My youngest child never slept at night as a baby, nor did she feel inclined to eat much, so she was constantly awake, starving and grumpy (although she is totally lovely now!! ), and as a sanity buster in the middle of the night I would lay on the sofa with her, and think back to all the wonderful times I’d had as a student when I worked as an archaeologist, all the fun I’d had with my university friends, I’d reminisce about how I met my husband, all the places we used to go, the music we used to listen to, the mistakes we made…and then, as the long nights wore on, I found I’d begun to think about the ‘what if’s’ in life. It was these ‘what if’s’ that made me reach for a piece of paper- What if I hadn’t met my husband when I did? What if I’d met him years later in a totally different place? What if my first boyfriend had hurt me badly, rather than finishing things amicably? And what if he’d been my best friend ever since- as, in fact, he is- but with the past still an open wound between us, rather than just something we look back on fondly as a lovely adventure on the way to growing up? (I use the term ‘growing up’ very loosely!!) What if my heart had been so broken that I’d run away from all my friends and started a new life many miles away? What if…..? As you can see from the blurb, I took all those midnight mixed up memories, those sips of coffee from my life- a life which has involved one hell of a lot of caffeine- and weaved them into the story I first played with thirteen years ago! It was been an amazing amount of fun to write a book which is so close to my life and yet, at the same time- is nothing like it…with maybe one exception. 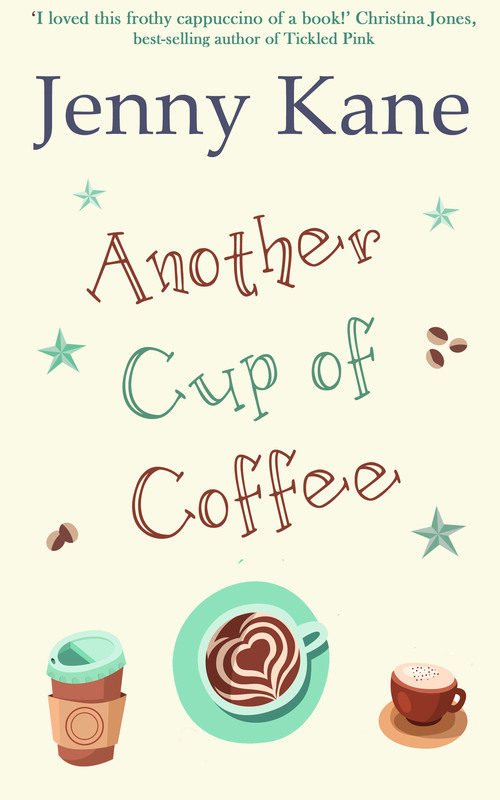 There is a character called Kit in Another Cup of Coffee– she is an erotica writer, she has two children, she is happily married, she never wears make up, can’t be bothered to worry about clothes, and she sits in a cafe all morning to write her stories!! Beyond that she isn’t like me- but that part of Kit is the real me all over!! 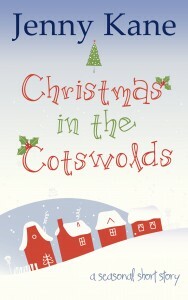 It is also available on Kobo and Nook. 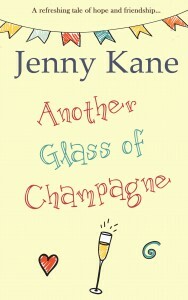 Another Glass of Champagne will be out next year!! I enjoyed reading how it all started I am sharing.